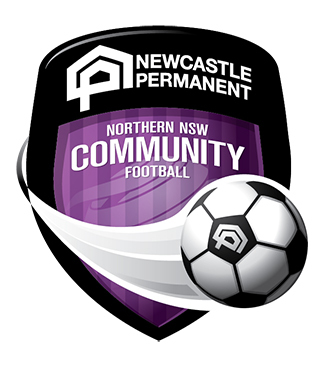 It’s quickly becoming one of the most highly anticipated matches on the NPL Northern NSW calendar. Maitland travels to Weston this Saturday night in what will not only be their first match of the year, but also the first ‘El Clasicoal’ derby encounter. The Bears picked up their first win of the season last week when they defeated Adamstown Rosebud 4-2 away from home and they’ll be looking to continue that form, however, they’ll be running into the unknown this weekend. The Magpies still have yet to play a competitive league game in 2019 but coach Mick Bolch will be hoping that means his team are fresh to sprint out of the gates, rather than potentially trailing in match fitness. Last year, the two rivals traded victories at home but in recent years, Weston has struggled having only won one match in their past seven matches. The Bears’ performances away from home in recent times have also been poor as last week’s victory at Adamstown Oval proved to be the third time since 2015 that they’ve tasted victory away from Bear Park. Maitland will be starring their new signings for the first time this year including young fullback Tom Davies, and also veteran striker Joel Wood, who will be tasked with the job of replacing the numerous amount of goals that injured star Matt Comerford found last season. Weston’s assistant coach Craig Stoker admitted that although they don’t really know what to expect for the Magpies this weekend, his team are excited for the big derby. “The boys are keen for it and have mentioned that they’re looking forward to it,” said Stoker. “The club are putting on a big day for it as well. There’s been a lot of tickets supplied to some of the local clubs around like the rugby league and cricket club and it’s also an Old Boys day and we’re playing all grades from 13s through to First Grade, so it’s going to be a big day. “It’s hard with Maitland because they haven’t played a game, so we don’t know how they’re going to play so we’re just focusing on what we did wrong last week and what we can do better. For Bolch, he stated that despite the fact that their first match of the year is a rivalry game, he’s making sure that his team are focused on the job at hand. “I think it’s business as usual,” Bolch said. “There’s a couple of players who have played for both clubs and I’m sure it has a keen interest for them but it’s just another game on the calendar realistically. “They’ve [Weston] been in the top flight for 50-odd years and Maitland have only been back up for a couple of years so it’s kind of like little brother-big brother. In their first away match of the season, Adamstown won’t need to travel far as they visit Lambton on Saturday evening and as they currently sit as the only team to have lost two matches, collecting the win will be vital. The Jaffas had the week off last week due to wet weather but in their opening game, dominated Lake Macquarie City with a big 5-1 win and although they’ll be hoping their goal-scoring performances can be replicated, a strong battle looks set to take place in the middle of the park. Lambton midfielder Michael Kantarovski excelled as one of the competition’s real stars of Round 1, however, Rosebuds’ centreman, Matt Sokoulsky, has also been a shining light for his side winning the team’s Players’ Player award from both their games. History is not on the side of the Rosebuds as they haven’t beaten Lambton since the two sides met in the NEWFM Northern League One competition back in 2012. Since 2014 when they both began squaring off in the NPL NNSW, the Jaffas have won eight and only lost two. In 2018 when Arthur Edden Oval hosted this match, pundits were treated with an entertaining 1-1 draw and will be hoping for the same once again. Lambton coach James Pascoe said that despite the Rosebuds losing their first two matches, he’s been impressed with their play and is expecting another tough match. “This week will be a hard test for us,” Pascoe admitted. “I’ve quite liked what I’ve seen from them in their two games. They look fit and press in the opposition half when the opportunity presents themselves and they work very hard to get up behind the ball, so I think there’s a real desire there. “We trained on Saturday when the game got called off and got a good session in…I think it would have been a different scenario if we had of done nothing on the weekend, but we certainly had a good sweat. 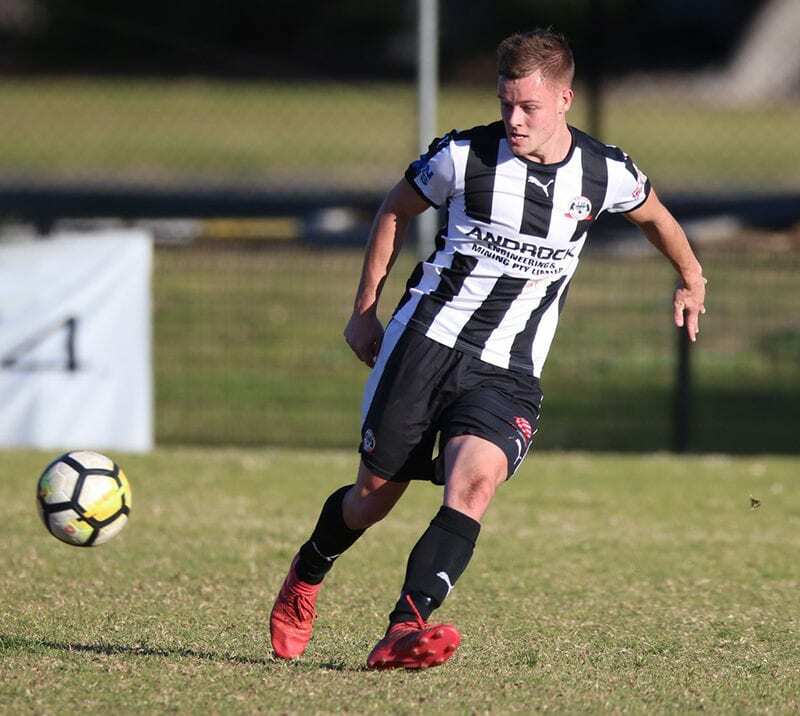 Coming off the back of their first loss of the season at home, Edgeworth will welcome the Newcastle Jets Youth who missed last week due to having the bye. The Jets Youth performed wonderfully in their first outing against Charlestown City winning 3-1, and their opponent that night were the ones who defeated the Eagles last week in a tight tussle. Edgeworth took out both games against the young Jets last year including a 5-1 squashing and have actually won their past six matches against them. Josh Cairelli, who has already been lighting up defences down the edge, will be facing his former side and after showcasing much less of an impact last Friday night than he showed against Broadmeadow in Round 1. Coach Damian Zane will be hoping he, and the rest of his strike-force can successfully take their chances.  Newcastle Jets Youth were completely clinical in their only match of the year as Maki Petratos, Angus Thurgate and Mat Barkho caused mayhem for the opposition defence and their counter-attacking abilities will need to be a point of focus for Edgeworth if they are to contain them. Zane confessed he felt his side’s performance last week earned a defeat against a spirited Charlestown team, and they were focussed on tidying up the areas of their game that he felt let them down. “It’s always a difficult game against the Jets. 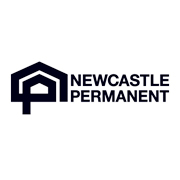 They’re the cream of the crop for their age around Newcastle,” said Zane. “They were quite impressive in their first match and they’ve beaten a team that we’ve lost too. “Football is all about taking those moments and we were probably pretty poor in the big moments of the game [vs Charlestown] so we probably got what we deserved in the end. “We could say we had a short turnaround, and make excuses if we want, but the fact is we lost. They experienced a historic victory last week against Edgeworth away from home, and this Charlestown will be looking to continue that run of form when they host Lake Macquarie City. The Roosters were dealt a large defeat when they played two weeks ago, and after having an extra week off due to the wet weather, fans of the side will be hoping that it’s given them time to work on the issues they faced then. Scott Smith grabbed a double in that game last Friday night for the Blues as he played with the captain’s armband on, but usual skipper Matt Tull is expected to return this weekend, while reliable defender Tom Smart will also be making his way back into the squad after a suspension, facing off against his former club. The teams traded victories when they played in 2018 and when they met at Lisle Carr Oval, the Roosters picked up a surprising 3-0 win. Possessing one of the youngest, yet most promising, midfield combinations in the competition in Campbell Ross, Charlie Cox and Daniel Minors, Lakes’ youthful men will have a tough task on their hand when they come against experienced players in Tull, Pete McPherson, Rene Ferguson and Riley McNaughton. The Blues will be on a high after defeating the defending premiers last week but expect the Roosters to put up a strong fight as they look to bounce back. It’s the biggest derby in the league and Newcastle football and it’s come at an early, and interesting time of the season. Hamilton Olympic will travel to Magic Park this Sunday afternoon for the first Red and Blue Derby and although these matches are always a fierce contest, expect it to be even more so given the fact that both these sides missed out on playing last week as they’ll be raring to go. In the only game Broadmeadow has played this year, the champions went down by a big margin against last year’s Grand Final opponents Edgeworth, 6-1, while Hamilton began their year on a high edging out Weston. The history Magic and Olympic share battling one another is extensive and unparalleled. Throughout each team’s history, there is currently no other club that either team have competed against on more occasions, and in the 47 times they’ve come up against one another, incredibly, there is nothing to separate the two teams – both have won 19 matches as well as experienced 9 draws. In more recent times, the same can be said as they’ve each won 3 games and played out a draw over their encounters in past three years. Hamilton’s Scott Pettit scored the winning penalty in their first match of the season, and he’ll be coming up against his former club where he helped build a legacy, but his opposing numbers will also be ones to watch out for. James Virgili, Kale Bradbery and John Majurovski will all be squaring off with the Olympic defence this week, and combine that with new signing Kristian Brymora, makes for one exciting prospect of how this match may turn out. Broadmeadow coach Ruben Zadkovich made note that from his experience after an extensive playing career throughout Australia and England, the Red and Blue Derby is one that has a ‘big-rivalry’ feel, but despite all that, they still needed to be focused on their own game. “It [the derby] lifts both teams in a good way,” Zadkovich said. “I’ve played in derbies like Newcastle vs Central Coast, but it didn’t really ever feel like a real derby and in England I’ve obviously played in some proper derbies where it means everything to the fans for that one game. “To be honest, since coaching in the Magic/Hamilton game, it feels like a real derby and given the long history and the heritage of both clubs, that just adds another dimension to it. “It’s all left on the park and it’s nice to watch two sets of squads really going for it in a rivalry match, but at the end of the day, it’s still just three points up for grabs and it doesn’t really matter who we play at the moment we’re just searching for points. Olympic coach Pete McGuiness echoed Zadkovich’s thoughts about the magnitude of the rivalry. “These two games against Broadmeadow are always pencilled in, not just in the players’ minds, but also the communities’ minds,” McGuiness said. “It’s always a good rivalry and probably is the biggest rivalry. “The boys are looking forward to it. They know there is a little extra on the line with bragging rights in the community. 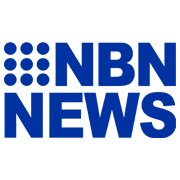 “Ultimately, it’s three points to whoever wins though, it doesn’t matter whether it’s against Broadmeadow or another club. “I think our execution in the front third needs to be a bit better,” he said. “I thought there was some really good build-up play that started from our back third right to our front third but the final pass or the delivery into the box was a bit wayward. Valentine Phoenix has the bye.